Just as we heard before, Samsung is indeed reducing its parts orders for the flagship Galaxy S4, after "tempering" investors' expectations on their sales predictions. The sources confirmed once again that Samsung has issued order forecasts on the lower range for this quarter, 20-25 million instead of 25 million firm, and has lowered the forecast for next quarter from 30 million units down to 20 million. Previously analysts predicted that Samsung will sell about a hundred million S4s by the time the S5 is rolled out everywhere, which would be double the SIII sales for the same period. Now this number might have to be revised down, as the truth is that the flagship niche is glutted now, and Samsung doesn't have the ultimate edge before the competition it used to just a year ago. It is evidently aware of that, said to be planning a huge redesign for next year, and also attacking the midrange segment, where all growth is expected to be in the next few years, from all sides. When you count all those Aces, Ys and Note family members Samsung is selling, though, the prediction for next quarter is 70 million handsets sold, which is pretty breathtaking by any measure. Yup, all selling well still. And by the time the Note 3 is out, S4 price will drop a bit. Sammy won't sell less smartphones, but less original S4s and more of the other flagships. I find the galaxy s3 has stopped selling. People are taking the galaxy express as a free phone option or the s4 if they want to pay a bit of money when going on contract. S3 4G is now really well priced in Sweden. I just got one. I believe the sales of S3 that is still in full swing is affecting s4 sales. S4 is never as famous as S III already. Refreshing is important. Well it's either s4 or HTC one. Only Apple fans would buy 2008 tech and yet overpriced iPhone. Can't say I didn't see this coming. Competition has almost caught up. And the competition is no longer about having the biggest and the fastest or anything. Good job HTC! 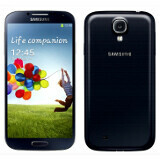 Good way of getting the Best Cell phone for 2013 and making an impact against Samsung! Lots of other factors are involved too, especially from other Samsung products. But definitely credit to HTC for the One. Great looking phone and better optimized than the S4 by all the accounts I see and read on the internet. Well, if Samsung reconsider no release 3 variants of the same phone, the story could be other. Lol. Already reducing by a 1/3. Wow... What a big Disappointment for Samsung. They have way too many options for phones where that's going to hurt them in the long run. I don't blame the sales are low because the Samsung S4 is a below par Phone. You know, that HTC One shipping was 1.2 mill for more than a month and shipping it's flat now , and S4 was 10x times more for the same time. And sell good. So, HTC One didn't make any impact on S4 sale. Besides only iboys can buy this apple-ish sealed tin can. So Apple is the one that should worry about the 'huge" HTC One sale. Right?